I was introduced to the nutritional powerhouse that’s kale during my first MFA residency at Goddard College in Plainfield, Vermont. It seemed that kale, or some variation of it, was featured at every dinner during my eight-day stay on campus – and, come to think of it, at every dinner over my next four residencies as well. Move over, green cabbage: kale is the Super-Star here! Sweet and tangy merge with cool and crisp in this nutrient-dense vegan take traditional cole slaw. This is the absolute perfect summer salad- serve it as a starter, devour it as a snack, or make it a side dish at your next picnic. Any way you present it, it’s sure to be a hit! 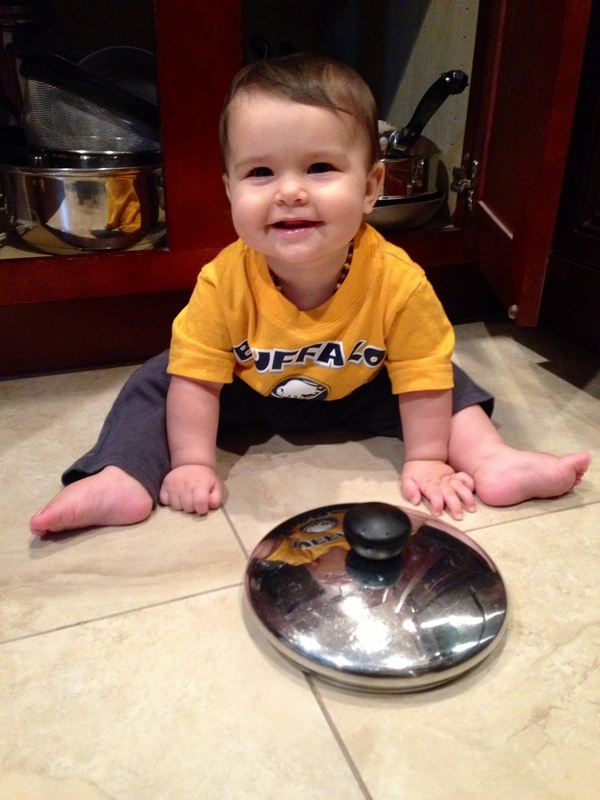 Makes a great big bowl! In a small bowl, whisk together oil, vinegar, orange juice, salt, black pepper, and cayenne pepper. Set aside. 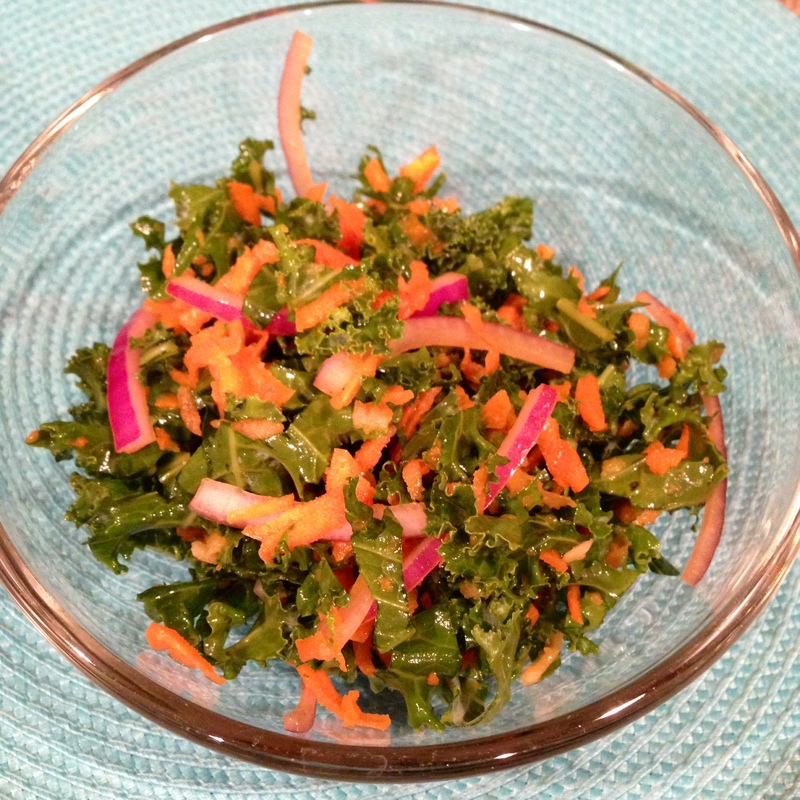 In a large bowl, combine kale, onions, and carrots. Set aside. 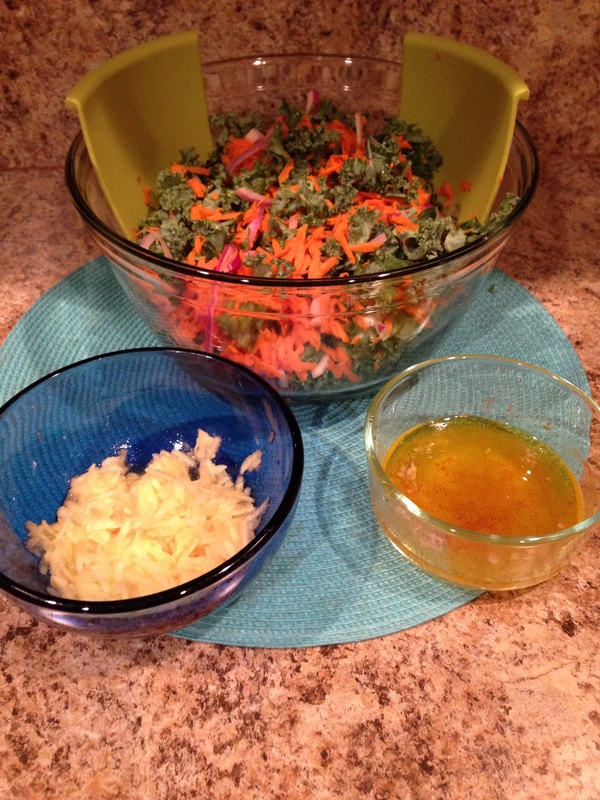 Add grated apple and lemon juice mixture to kale, onions, and carrots. Mix. Pour dressing over salad, and mix well. Time to mix it all up! These days, Miss P is continuously finding new ways to “help” Mama in the kitchen, which, of course, includes rummaging through the cabinets and tossing everything inside onto the floor because, you know, preparing a meal just doesn’t provide the same element of thrill when you aren’t sidestepping two travel mugs, four plastic containers, the lid to a copper-bottomed kettle, and a nine-month-old. All obstacles and adventures aside, I’m grateful when the Universe aligns and allows me to spend an hour here or there in the kitchen preparing wholesome meals for my family. 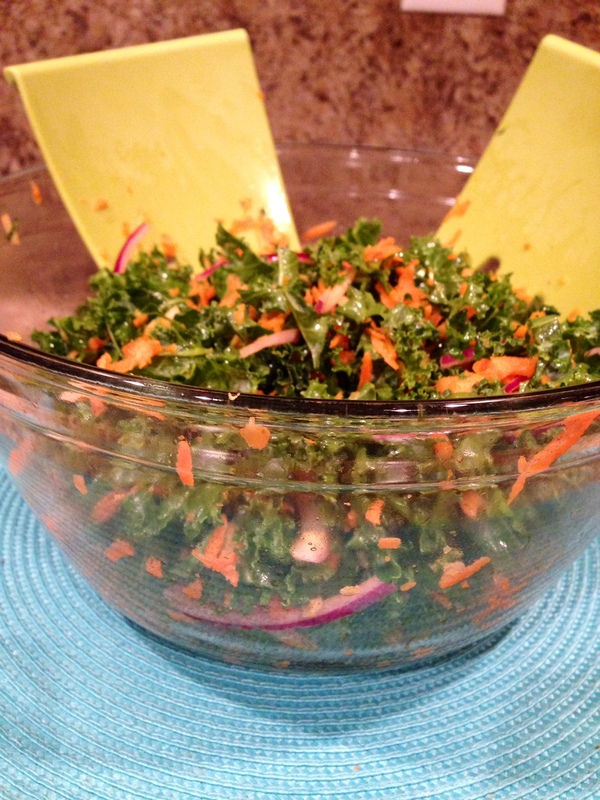 This salad is budget friendly, super healthy, easy to prepare, and absolutely delicious! 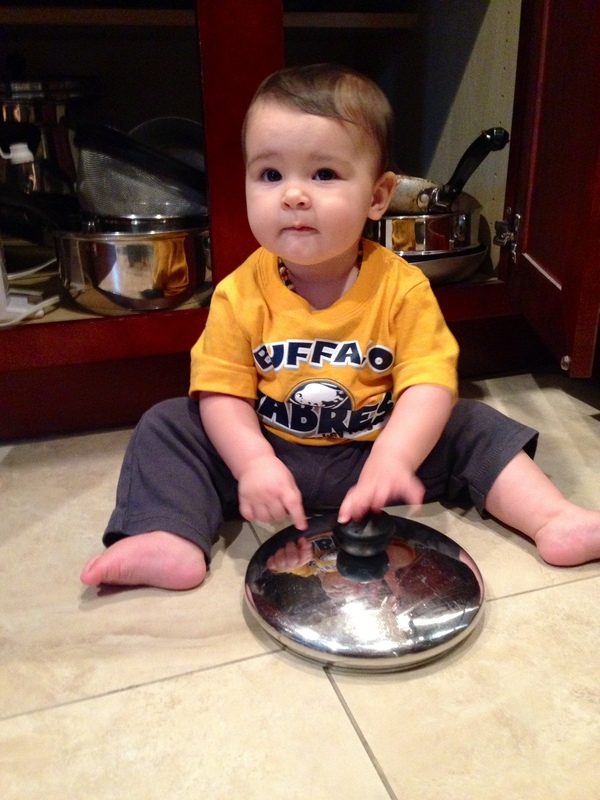 It’s definitely become a staple in our house.